MARLENE SKOG’s career as a performer and award-winning choreographer spans over thirty years at home and abroad. She is a passionate educator and advocate for the arts. Her work is known for its emotional range, brilliant technique, and intentional fluidity between classical ballet and contemporary dance styles. It addresses the enduring question of what it means to be human and is purposeful in its strong synthesis of movement, music and message. A native New Yorker, Skog’s experience as a performing artist and choreographer is vast. She worked in Sweden for fourteen years, founding the international company, Marlene Skog & Dancers, as well as Uppsala Dansakedemi, an establishment for dance arts. 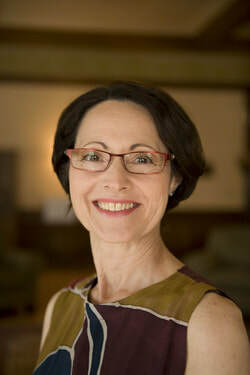 During her tenure as the Artistic Director of Dansakedemi, Skog developed a professional dance curriculum that was approved by the Professional Dance Board of Sweden and supported by the state. Her unique choreographic vision prompted a noted collaboration with renowned Swedish choreographer, Birgit Cullberg. Skog was commissioned to choreograph for multiple cultural events in Sweden, including the International Arts Festival—Norway, Scandinavian Cultural Conference, and the International Women’s Convention at Uppsala University. Additionally, she was awarded several unique honors for a foreign national, including the prestigious People’s University Cultural Prize, Gotsa Knutsson Cultural Award and NordBanken’s Cultural Award. Skog received her MFA from the University of Arizona, where her tenure was recognized with the Creative Achievement Award as well as the Green Valley Concert Association Fellowship Award in Choreography. Her work has been performed nationally and internationally, including Charlotte, Chicago, New York City, Hawaii, Madison, and across the Midwest, as well as the King’s Palace in Edinburgh, Scotland and at the World Dance Alliance in Vancouver B.C. She is currently on faculty at the University of Wisconsin-Madison as an Assistant Professor of Dance.